Mervin Perera, a father of three children, was born on September 21st, 1940 at Kuda Payagala in Southern Sri Lanka. A Catholic, he learned the first notes of music from his father Herman Perera, a music master, who first taught him how to hold a violin. Following fathers guidance young Mervin entered the Kalayathanaya in 1959 and after six years of training, started his teaching career as a music teacher in a remote village in Ampara. Completing almost 50 years in the music arena, Mervin has come a long way since his days as a member of the village church choir. 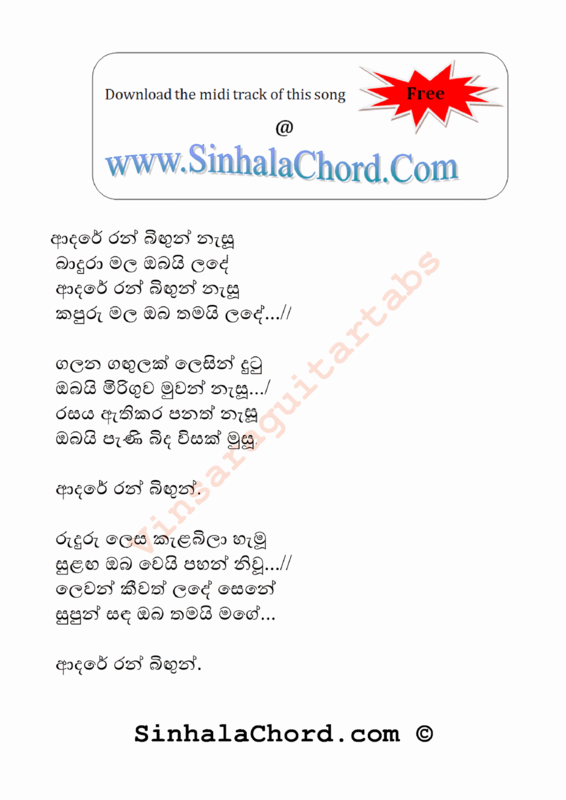 Mervin Perera has many lilting melodies to his credit and was much loved by Sinhala music lovers. His songs such as ‘Sanda midulata enawa’ and ‘me nagaraya’ were popular among Sinhala music fans. An icon of the Sinhala music industry at one point, two years ago he released a collection of Sinhala songs after a long interval of 12 years. The collection entitled 'Suwanthethi Kusumaka' comes almost a decade after the CD 'Nilupul Yuwale' of the veteran singer-composer who has already enriched the local music with many melodious tunes. Among his most memorable songs are 'Oba Dedunna', his debut released in 1972 which turned out to be an instant hit, 'Me Nagaraya' and 'Adare Ran Bingun' which have earned him accolades from both the adult and the young generations.